Book Club: Gone Girl — Twila & Co.
We had our first Book Club Meeting last night and it was AMAZING. We met at Panera so that we had food and coffee options yet plenty of space and time to chat without being rushed. It was the perfect setting for our first meeting. 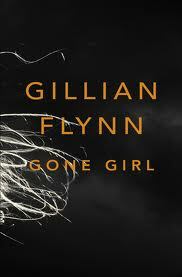 We had chosen the book Gone Girl by Gillian Flynn, which is a MUST-READ. It was amazing. It was captivating, intriguing, and left so much to be discussed. The book was extremely well written, as it went back and forth between the past, present, and the two main character perspectives. But even with the differing perspectives, the quality of writing and consistent detail made it easy to follow. Since it is a mystery, it left you with some questions in your mind as to what was really going on, but never made you feel confused in a negative way. It was fantastic. Just ask my dad- I couldn't put it down! I was DYING to talk about it at our meeting. While we were able to jump right in with our thoughts and comments about the book at the meeting, I also brought some discussion questions I found online. The questions provided some really thought-provoking questions and definitely made us dig a little more into the book. I loved hearing everyone's thoughts and opinions. I have to say, my favorite part was discussing who we thought would be perfect for each character if the book were made into a movie. After we finished our discussion, we decided on our next book, Silver Linings Playbook, which I couldn't be more excited about! Not in a book club but want to join one? Start your own! Did you read Gone Girl? What did you think? Join our discussion!